The VDR-4TTX range of VDSL2 routers enables very 100 Mbps high speed Internet access for several users with a complete choice of options for Ethernet port density, wireless WIFI and telephony. VDR-4TTX complies with the latest VDSL2 standards. 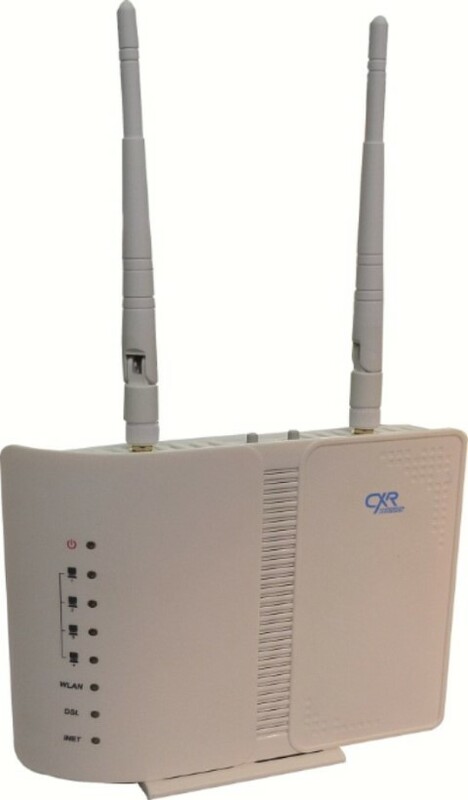 It is compatible with most VDSL DSLAM's and especially CXR ones - DSV2024. It embeds a VDSL2 G.993.2 modem that operates at 100 / 100 Mbps symmetrical speeds. It can connect at lower VDSL speeds on long lines and it is backward compatible with ADSL2+ on even longer lines. VDR-4TTX delivers safe Internet access with security functions such as authentication, address translation, address filtering, and attack protection.